While it is usually possible to make your work openly available at no cost, some publishers require the payment of an article processing charge (APC). This payment means that your work will be open immediately upon publication, via the publisher's website. Some journals are fully open access, meaning that you will always have to pay an APC to publish in them. Other publishers operate a 'hybrid' model which means you can choose to publish either in the traditional manner where the work will sit behind a paywall, or you can pay to make your article freely accessible. APCs usually range between £800 and £2000, though they can be higher or lower. The average charge has been estimated by the RCUK to be £1727 (exc. VAT). This page provides information on the funding options available to cover these charges and will help you determine whether you are eligible for funding support. If you have any queries about your eligibility please contact the Open Access Team at openaccess@bath.ac.uk. Before making a request, please look over the information provided on the rest of this page regarding funding eligibility as well as details about the publisher-specific agreements we have signed up to. Taking advantage of these deals may mean we get significant reduction in the price of your APC. If you have any questions regarding funding options or eligibility, then please contact openaccess@bath.ac.uk. To request financial support for the payment of your APC, we request that authors submit details via our APC request form. Having this formal record of your request helps when processing invoices and reporting to funding bodies. After receiving your request we will check that the publication meets the requirements of your funder and also whether funding is available. We will then send an email confirming whether we can support the payment from either our UKRI block grant or the Bath Open Access Fund. We endeavour to respond to your request as soon as possible. If we are unable to support the APC through either of our funds, we will provide guidance on how you can still make your work openly available. If we can support the payment, we will provide instructions on how to proceed with requesting and paying for the open access fee. If we do not have a pre-payment account with your publisher, we prefer that payment be made via invoice and not credit card. If you have been funded by a Research Council then you may be able to access our UKRI Open Access block grant. Whilst we encourage authors to self-archive their author accepted manuscript in Pure where possible, we understand that sometimes it is necessary for an OA fee to be paid so the article is open immediately. We have recently changed how we allocate the UKRI block grant so please read the below information as it may affect whether we can support your APC. Publishers taking a sustainable and affordable approach to the transition to OA by reducing the cost of publishing in hybrid journals via offsetting deals and membership schemes include: American Chemical Society, Royal Society, Royal Society of Chemistry, Institute of Physics, Sage, Springer Nature (Springer Compact titles only), Taylor & Francis, Wiley, and Oxford University Press. Please note: The fund will cover up to three APCs per author/grant per annual block grant allocation (01 April – 31 March). Page/colour/other mandatory costs can also be paid under UKRI policy. 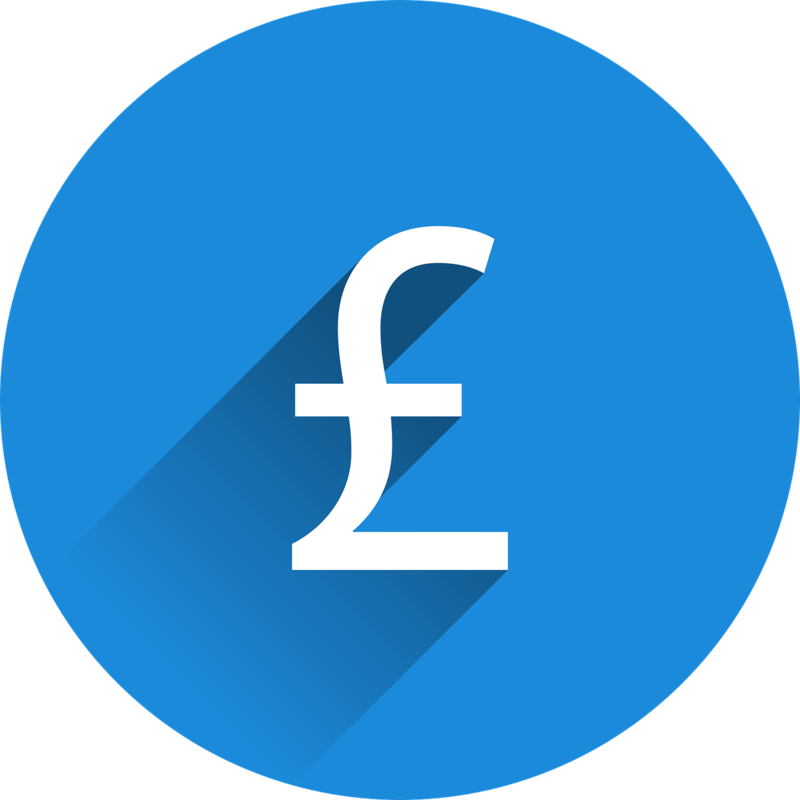 To maximise fund use for APCs, payment of these costs will be capped at £750 and will only be made to publishers that are fully OA or provide a Green OA option that complies with the UKRI policy. To make a formal request for support from this fund, please fill out our APC request form. If you are acknowledging funding from one of the Charity Open Access Fund (COAF) partners then you may be eligible for support from our COAF fund. PLEASE NOTE: our COAF fund for this funding period has now been used up. Wellcome Trust also mandates that monographs and book chapters be made open access. It has a separate funding mechanism to manage payment of these costs for its funded researchers. Please email openaccess@wellcome.ac.uk for more information. Please note: funding is allocated on a first-come first-served basis so we cannot guarantee that funds will always be available. We therefore advise that, before committing to paying an APC, authors get in touch with the Open Access Team to find out if funding is available. APCs for European Research Council-funded works can be claimed as direct eligible costs from your grant if publication is expected during the period of the grant. For more information, read the ERC guidelines. APCs can be reimbursed by Horizon 2020 if they occur during the duration of the grant. Costs incurred once a project is completed cannot be refunded from that project's budget. For more information, visit the Horizon 2020 website or speak to a member of the Open Access Team. Until February 2018, open access funding for beneficiaries of FP7 grants was obtainable via the FP7 post-grant Open Access pilot. If you are funded by the NIHR and need to pay an APC, you are expected to make provision for the payment from your award. If you have any queries, please contact your awarding NIHR Programme Coordinating Centre for further advice. Publication costs, including author fees, may be charged to NIH grants and contracts. Please see their policy pages for further information. Whilst the Academy won’t fund APCs separately, you can cost them into grant applications. Where the publication has been wholly funded by the Academy of Medical Sciences underspend can be used to pay open access fees. The Foundation is willing to pay reasonable publisher fees in order to make publications openly available immediately via a CC-BY 4.0 licence. Researchers should not pay these fees out of their budget or seek reimbursement from the Foundation. They should use Chronos, a new service developed by the foundation, to manage the payment of open access fees. Although Diabetes UK encourage the paid route to open access, they do not provide additional funds to pay for APCs. Under-spend on a grant may be used to meet the cost of open access fees if the publication has been wholly funded by Diabetes UK. Written permission from the charity is required. Although Alzheimer Research UK do not require articles which arise from their funding to be made openly available, applicants can request fees to cover open access publications at the time of submitting a proposal. Please note, however, that grant holders cannot apply for further funds for publication once a grant has been awarded. The Society will not provide any additional funding to support open access costs. If your grant finishes with an underspend they are happy to consider requests for it to be used for APCs. APCs can be included either within the 25% associated costs allowable on Research Project Grants and Research Programme Grants, or within the research expenses category for Fellowships. Open access charges should only be incurred during the period of a Leverhulme award. If these costs are not incurred during the life of the grant, the funds cannot be switched to any other budget heading, and must be returned to the Trust. If you aren't funded by a Research Council, COAF partner, or other funding body which may be able to pay for your open access fee, then you may have the option of using the Bath Open Access Fund. PLEASE NOTE: our institutional fund for this current funding period has now been used up. We expect to receive more funding in August. The journal must be a Q1 title as measured by Journal Citation Reports or SCImago Journal Rankings. The Library’s Open Access Team can advise on whether your journal is eligible (email details to openaccess@bath.ac.uk). Please note: funding is allocated on a first-come first-served basis so we cannot guarantee that funds will always be available. Since many journals require you to agree to the payment when you submit your article, it is a good idea to ensure you have funding before you submit your article to the publisher. We therefore advise that you get confirmation from the Open Access Team before committing to paying an APC. Deposit your author accepted manuscript (AAM) in Pure. Most journals will allow you to upload an AAM to an institutional repository like Pure. This is a perfectly acceptable way of making your work open access as well as meeting your funder’s requirements. Ask your Associate Dean (Research) or Director of Research. By exception, your Associate Dean (Research) or Director of Research can authorise payment from the Bath Open Access Fund for a journal that would not otherwise be eligible. You will need to justify why paid open access would be beneficial (e.g. the paper has international co-authorship and open access would help draw international readers). Ask your department for funding. If green open access isn’t an option for your chosen journal, you may still need to find funding for the APC so it is worth asking your department to see if any financial support is available. The University of Bath has signed up to a number of publisher agreements which may mean the cost of the APC is reduced or waived. If you are considering publishing with one of the below publishers, please read about what agreement we have in place and whether you might be able to benefit from it. If in doubt, please contact openaccess@bath.ac.uk for further information. The agreement we have with ACS means that University of Bath authors are eligible for a 25% discount on all APCs. If you are an ACS member then you are entitled to a further 50% discount. We have a pre-payment account with BMC which is available for use to Bath corresponding authors who do not have Research Council funding. To access this account you will need to contact the Bath Open Access Team who will provide you with a membership code which you then quote to the publisher. If you are funded by a Research Council then you may still be able to publish open access with this publisher, however payment will be done via invoice. We have a pre-payment account with BMJ which is available for use to all Bath corresponding authors who do not have Research Council funding. To access this account you will need to contact the Bath Open Access Team who will provide you with a membership code which you then quote to the publisher. If you are funded by a Research Council then you may still be able to publish open access with this publisher, however payment will be done via invoice. The University participates in an journal subscription off-setting agreement with IOP which means that we will receive an annually-compiled refund if any Bath authors publish in one of their hybrid publications. Journal articles with a corresponding author affiliated to the University of Bath are eligible for a 10% discount on all APCs. This agreement is available for all Bath authors. We have a pre-payment account with OUP which is available for use to all Research Council funded Bath corresponding authors. If you are not Research Council funded then you may still be able to publish open access with this publisher, however payment will be done via invoice. We have a pre-payment account with Peer J which is available for use to all Bath corresponding authors. We have a one-year agreement with The Royal Society that began in August 2018. The agreement provides 25% off the cost of an APC for the following journal titles: Biology Letters, Interface Focus, Journal of the Royal Society Interface, Notes and Records of the Royal Society, Philosophical Transactions of the Royal Society A: Mathematical, Physical and Engineering Sciences, Philosophical Transactions of the Royal Society B: Biological Sciences, Proceedings of the Royal Society A: Mathematical, Physical and Engineering Sciences, Proceedings of the Royal Society B: Biological Sciences, and Open Biology, and Royal Society Open Science. This agreement is available to Research Council funded authors only. If you are the corresponding author for an article in a specified RSC journal then, as a member of the University of Bath, you are eligible for your APC to be waived. This agreement is available to all Bath authors. If you are the corresponding author for an article published in a 'Sage Choice' journal then, as a member of the University of Bath, you are eligible for a discount on your APC. This discount brings the APC to £200. If you are the corresponding author for an article in a Springer 'OpenChoice' journal then, as a member of the University of Bath, you are eligible for your APC to be waived. This agreement is available to all Bath authors. Please note that this agreement does not cover papers published in 'SpringerOpen' titles. If you are the corresponding author for an article in a Taylor and Francis 'Open Select' journal then, as a member of the University of Bath, you are eligible for a discount on your APC. We also have a pre-payment account with Taylor and Francis which is available for use to all Research Council funded Bath corresponding authors. If you are not Research Council funded then you may still be able to publish open access with this publisher, however payment will be done via invoice. We have a pre-payment account with Wiley which is available for use to all Research Council funded Bath corresponding authors. If you are not Research Council funded then you may still be able to publish open access with this publisher, however payment will be done via invoice.